Shockwave Therapy uses powerful acoustic energy to stimulate deep tissue repair. It is applied directly to the site of injury through the client’s skin via a gel medium, creating a series of intense physical energy waves. This acoustic energy wave stimulates a healing process and breaks down dysfunctional issue. Earlier generation shockwave machines used by other centres were known to be expensive and quite uncomfortable (often needing local anesthesia before treatments). 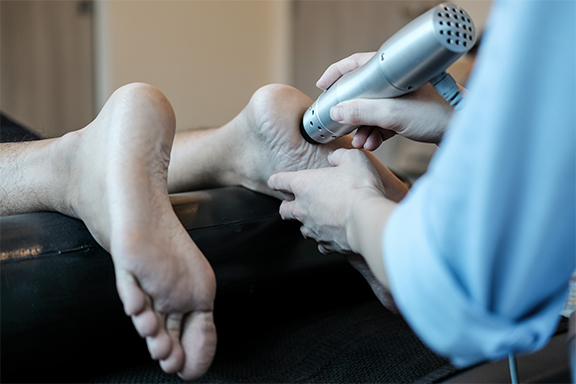 The Pain Relief Practice offers the new generation of radial shockwave therapy which is not only dramatically more affordable but also very comfortable.